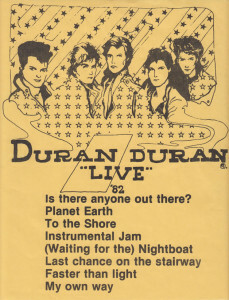 Like Demo 1979 before it, this unofficial live album from Duran Duran surprised me when I found it while flipping through the stacks at Jive Time Records. It’s housed in a generic sleeve with a photocopy of the track listing taped to the front, and it isn’t even an accurate listing. The Duran Duran Wiki says it was recorded at the Hammersmith Odeon in December 1981. At one point during the concert, Simon Le Bon refers to “Last Chance on the Stairway” as “a new song”. That was a transitionary time for the band. 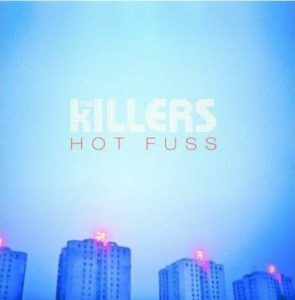 The biggest hits had yet to be written, so the set list includes three b-sides from the self-titled debut. The erroneous “Instrumental Jam” listed at the end of Side A actually consists of “Late Bar” and “Khanada”. “Faster Than Light” and “To The Shore” round out the once and future rarities. The band is on fire in this performance, tearing through the songs with the exuberance captured on Arena. The rough edges from the 1979 demo had been smoothed out. I’ve seen Duran Duran a number of times, and the rarest song I’ve heard them play is “Friends of Mine”. So it’s a treat to hear b-sides part of a set list. I probably won’t fall down the rabbit hole of collecting Duran Duran bootlegs as a result of this purchase, but I’m glad I got to hear something other than the hits done live. I swear by the Music Collector software made by Collectorz.com. I bought a license for it in 2000, and I’ve used it to track every single item in my music collection ever since. But I’d been gathering data on my collection from way before then. I didn’t really remember those proto-Collectorz days till I ran across a few .wdb files on a floppy disk. What kind of file is a .wdb file? 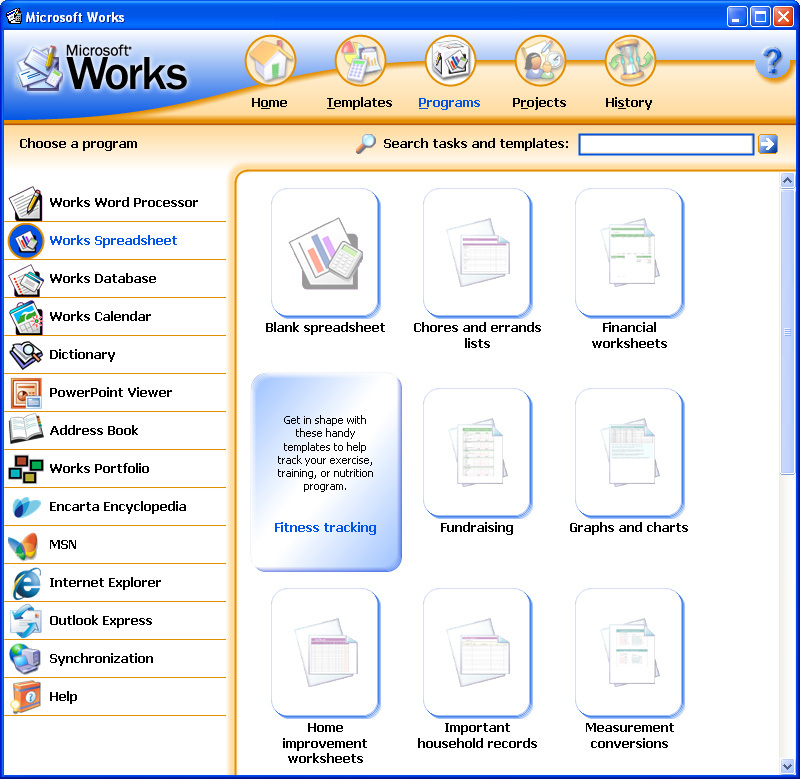 It’s a Microsoft Works database file. That’s right — not an Access file or even an Excel file, a Works file. 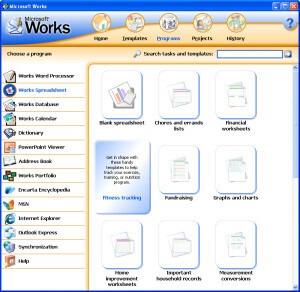 Microsoft Works was a home consumer version of the Office suite and came pre-installed on the first computer I owned. Works amazingly lasted all the way till 2010, when Office finally supplanted it. Microsoft doesn’t provide a utility to convert Works database files to Excel, but a Java application by Duncan Jauncey does the job. So I took a peek into the state of my music collection in 1998, and I’ve shared it for the world to peruse. The columns of that old database reflected how I kept records on paper. Yes, I do mean paper. Back in high school, I would type out lists of my collection, noting artist, title, release year, label and genre. Those fields became the basis for my Works database. How do I know this file dates back to 1998? That was the year I replaced that first Windows 95 system — an Acer — with a Dell, and I bought a license for Office 2000 to go with it. I wanted a grown-up productivity suite, and the Works files were doomed to the digital dustbin. I also kept track of genre, a concept I let go once I started shopping at Waterloo Records in 1997. Waterloo doesn’t organize its bins by genre, so Elvis Costello went right next to John Coltrane. When I migrated my data to Collectorz.com Music Collector, I stopped tracking individual genres. Of course, you could probably date the list by its total lack of anything released after 1998. A lot of the albums in that spreadsheet are the same ones in my current collection, which Collectorz provides online through its cloud service. 1998 was 18 years ago. 1988 was 28 years ago. I’ve held on to some of these records and CDs since then. Shocking, right? Probably the most interesting aspect of that old spreadsheet are the number of titles no longer in my collection. I’ve written a few entries about albums I’ve welcomed back after letting them go. I thought I would feel an urge to listen to revisit those rejected albums, but looking at that list, I remember why a lot of them went away. If curiosity gets the best of me, there’s always the streaming services. The album is nowhere to be found on streaming services, so I actually found a used copy to figure out why it exited my collection. It’s not a bad album, but compared to other country albums I encountered in the late ’90s — Jack Ingram’s Livin’ and Dyin’ and Kim Richey’s Bittersweet — it went on the chopping block earlier than others. Do a Google search for “Meet the Composer” and the top result should lead you to a podcast introducing curious listeners to modern classical music. Five years ago, that same search would have led you to the site for a grant program of the same name. The Meet the Composer Residency paired composers with orchestras for a year-long partnership and a one-album recording contract. In 2011, the program merged with the American Music Center to become New Music USA. I didn’t learn about this merger till I tried researching a pair of albums I bought on a whim back in 1990. Nonesuch Records partnered with Meet the Composer in the late 80s, right at the time I started getting curious about modern classical music. The first album Nonesuch released under the Meet the Composer imprint was Harmonielehre by John Adams. The last albums Nonesuch released in the series — the ones I own — were collections of works by Tobias Picker and Joan Tower. After two weeks of scouring library databases and web searches for Nonesuch catalog numbers, I filled in those holes. The Discogs page on Meet the Composer contains the fruits of my labor, as does the Wikipedia entry about the Nonesuch discography. So what did I find out? Over the course of five years, Nonesuch released 10 albums in the series. The advent of the compact disc bisected the releases — the first four were issued on vinyl and cassette, the last six on CD. Only John Adams went on to sign with the label, and Harmonielehre is still in its catalog. Probably the most prestigious Meet the Composer release was a recording of Symphony No. 1 by John Corigliano. The work, inspired by the AIDS quilt, won a Grammy Award for Best New Composition. Meet the Composer’s arrangement with Nonesuch expired by then, and the album was released by sister label Erato. At that point, I lost track of Meet the Composer and wouldn’t think about the organization till recently. On the whole, the works in this series are really appealing. American modern composers don’t seem to get bogged down in abstractions the way European composers might. Yes, the works produced by these composers won’t be mistaken for Jean Sibelius or even Leonard Bernstein. But there’s a melodic sense threading through these pieces that American composers are more willing to exercise. The Nonesuch pressings of these albums have been out of print for a long time, but around 2004, the First Edition label reissued a number of them. Only the Paulus/Larsen and Schwantner albums remain unavailable. The Schwantner release didn’t even make it onto CD. Although Meet the Composer, the residency, surrendered its name, it left behind valuable recordings that I hope remain out in the world. It’s nearly half way through the year, and the Favorite Edition 2016 list is pretty sparse. Every new release I’ve bought this year is on the list because I don’t have enough to fill the list out. So I’m pretty much watching out for vinyl reissues. I miss Anohni (a.k.a. Antony Hegerty). I only ever seem to encounter him on Björk albums any more. This album was released on vinyl in Europe back in 1992. I nearly bought a used copy of it. I already have the first three Maniacs albums on vinyl, which I originally bought in the ’80s. In My Tribe also gets reissued the same day. The Memory of Trees makes its first appearance on vinyl with this reissue, which also sees the return of Watermark and Shepherd Moons. 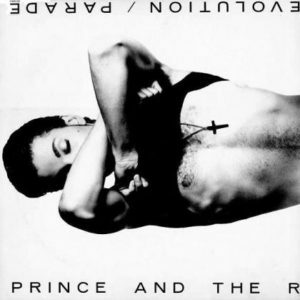 Have you seen the resale value of the original vinyl release of this album? We’re talking triple digits. Amazon originally listed April 22 as a release date, but now it’s changed to June 17. People were awed by how much the teenaged LeAnn Rimes sounded like Patsy Cline at the time this album was released. I remember playing it on the stereo at the student newspaper office in college. For some reason, we were all really into it. I still haven’t seen much corroboration for this reissue. I don’t even think the band knows it’s being planned. Amazon originally listed Feb. 12 as a release date, but it came and went without a single copy in sight. I would be a lot more anxious for this reissue, but I dropped a pretty penny for a used copy of a Korean issue.